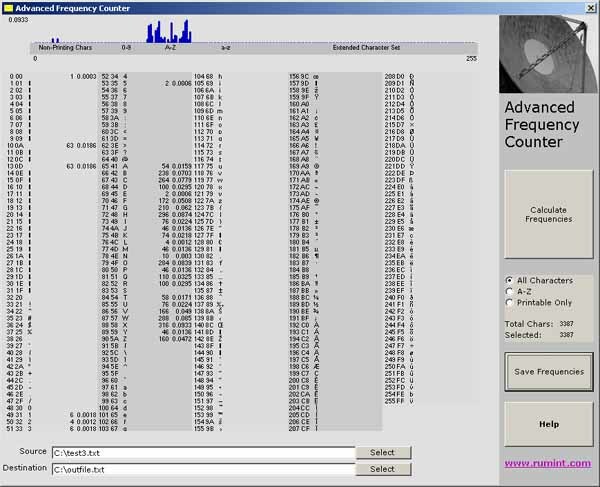 - Load pcap datasets and capture live traffic. - Extremely flexible with a total of ~20 different views. - Currently handles up to 30,000 packets in a high speed RAM buffer. For everyone interested in security data visualization, I'd like to announce the publication of my friend Raffy Marty's Applied Security Visualization. I am looking forward to reading it, and knowing Raffy, it is a great book. I just released version 2.14. It contains an updated network interface list that works well with the latest version of winpcap (4.0.1). I'm pleased to announce that I've finished writing a book on Security Data Visualization(No Starch Press) featuring RUMINT. The book is back from the printers and should be available any day now. I hope you enjoy it. 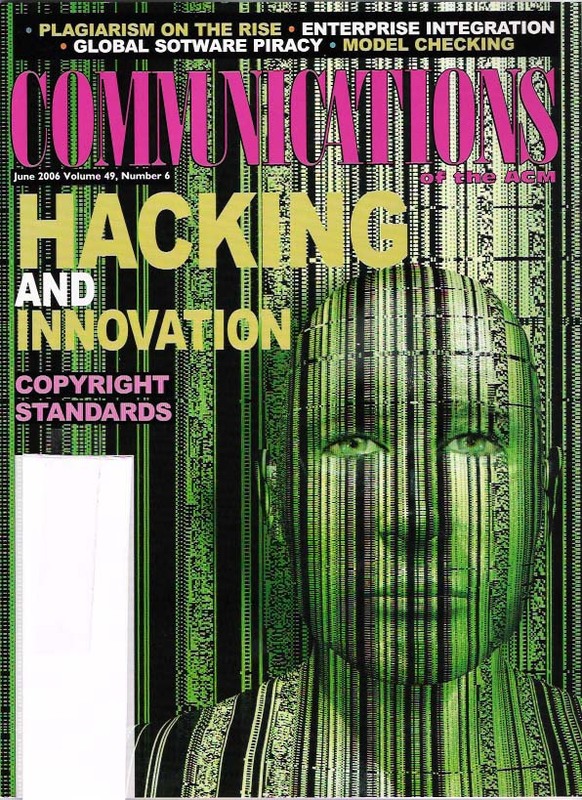 RUMINT made the cover of the June Communications of the ACM. I just upgraded RUMINT to version 2.11. 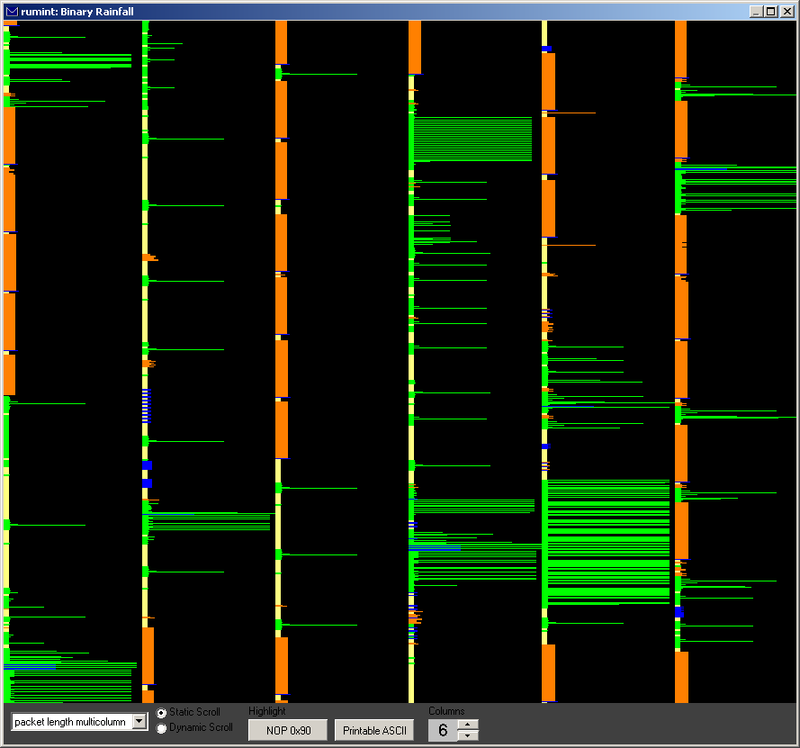 The key difference is that you can now compare thousands of packets at a time using a multicolumn packet length visualization (go to the view menu and select binary rainfall, adjust the number of columns) Here is a sample image of a capture the flag dataset. tutorial/overview guide to help you get a feel for it. This version adds filtering and scaling based on TCP and UDP ports (see the toolbars>filters menu) as well as filtering based on packet length. Also, I converted all the appropriate interface elements to eliminate the need for the fm20.dll which should make installation cleaner. I'm hoping this will allow rumint to also work on Japanese versions of Windows, if someone could let me know, I'd appreciate it. I'd also like to thank the good people at astalavista for placing rumint on their top 10 tools list. Finally, rumint should not time out based on the packetX library I'm using, this version should fix any problems along this line. If you like the tool, please consider joining the (low volume) rumint users mailing list. I'd like to hear your feedback and answer your questions. Also, please note that rumint still requires the winpcap library. I need to update the following documents, but they are relatively current. If you are interested in the research behind the tool you will find related talks and papers at my academic homepage. 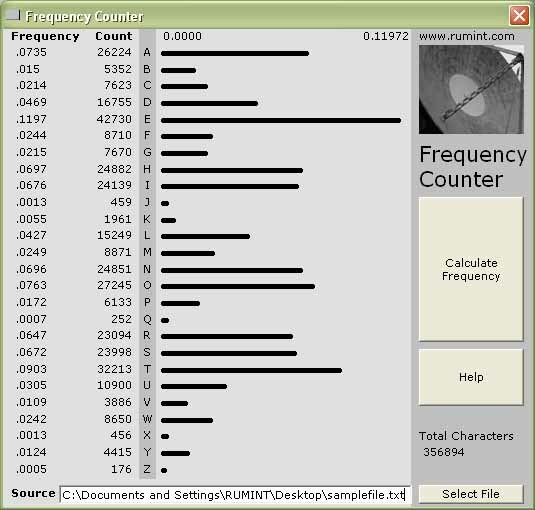 Advanced Frequency Counter (v1.5) - Processes text files up to 2G and determines frequencies of all characters. 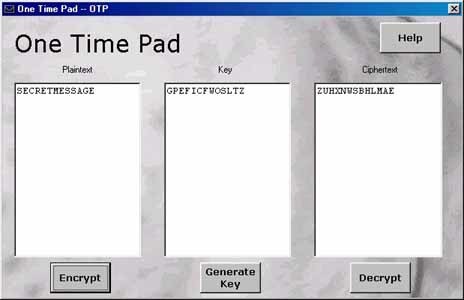 It works on binary and text files. Results are returned in the full ASCII range (0-255) and can be filtered to include only printable characters or even further constrained to A-Z. Results can be saved to an external file. Results are returned in both numerical and graphical formats. Due to the large and rich format of this program we recommend use with a screen resolution of at least 1024x768.